amazing shot. 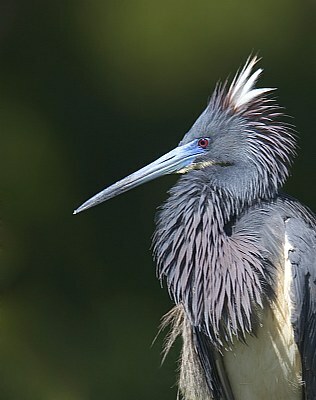 tricolored herons are so beautiful. Amazing shot and wonderful lighting! congrats on BIP deserve ! I can't wait to try my new lens out on some Herons. We had a small flock of Black Crowned Night Herons here for a little while, but as soon as my lens arrived, they decided to continue on up north. so impressive details, very nice exposure, real nice light, a perfect job Darlene, as always. You capture all the beauty of this bird with this one, great feather texture. My mouth fall on the floor. Another amazing shot Darlene. Hope you and yours are all well. Muy buena la composición, excelente el enfoque y la DOF. I enjoyed seeing the picture. Snapshot of a great angle. Fantastic capture, Darlene! Well done detail and beautiful colour!